In Taberna is a true medieval feast in dance steps on the fascinating music of Zoltán Arany – The last of the troubadours. 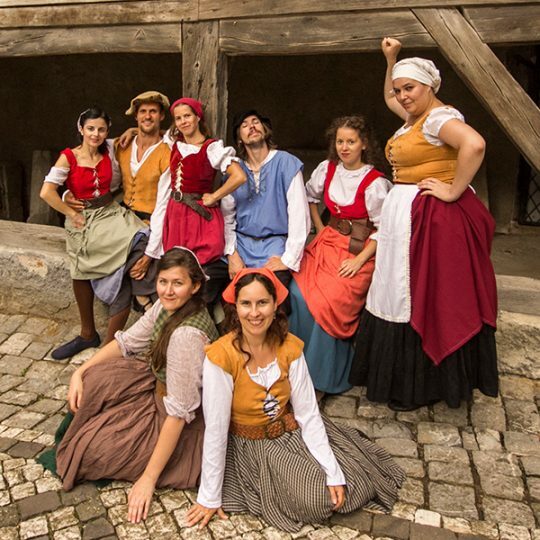 The performance presents the atmosphere full of cheer of a medieval tavern, which beside being a place for getting together and having fun, develops into the scene of intense conflicts. August 27, 2011, Bonțida, with the occasion of the Bánffy Castle Days. September 25, 2011, Deva, within the Renaissance Festival. August 2, 2015, Brașov, within The “Bastion Baroc” Festival. August 20, 2017, Odorheiu Secuiesc.